THIS IS THE FREE OFFER! Fly to Sri Lanka on your next trip on Etihad Airways with extra luggage for FREE! The offer will consist of an extra luggage of 23kg in addition to the normal allowance of 23kg! That means you will be given a FREE 23 kg allowance on your checked in luggage making it a whopping 46 kg in addition to your allowed hand luggage! Isn’t that awesome! All this is for the normal price! In other words, our special offer “Breaking deals”, gives our SLAG members an incredible advantage compared to what is available otherwise in the market. Travel period from 22nd of August 16 till 30th of June 2017. However, there is a period that this offer will not be available. The Blackout period (travel) is from 19th of December 2016 to 08th of January 2017. Call SUREIN (079 217 3386) Email: [email protected] OR LALANTHA (079 935 57821) Email:[email protected]. We will then put you across to our partner, Lets Travel SA who will handle your booking. 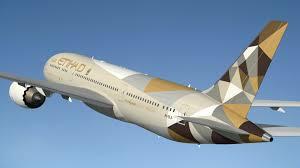 Please note that this offer is open only through Lets Travel SA on Etihad Airways! You will then discuss with your travel consultant at Lets Travel SA and make the booking/payment. PLEASE NOTE – SLAG will not be responsible for flight delays or delayed baggage or any other travel related matters which is beyond our control. So hurry, make your plans for your next trip to SRI LANKA! Carry with you the extra luggage for FREE! 2 x 23kgs on our “Breaking deals” through Lets Travel Sa only.